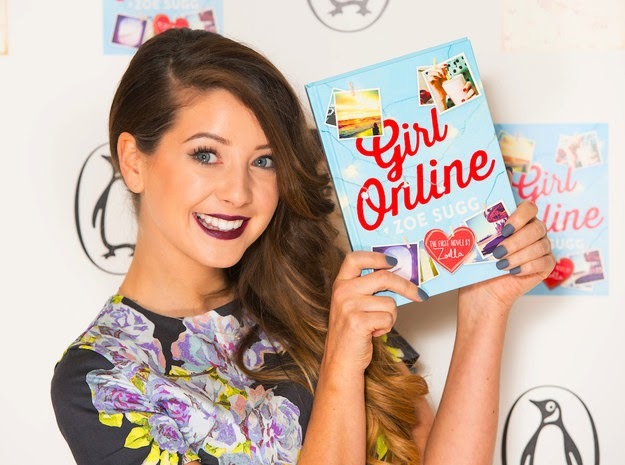 On November 25, Zoe Sugg published her debut novel, Girl Online. Sugg, otherwise known as Zoella, a YouTube sensation with over 6 million subscribers, broke records after the book sold 78,000 copies in its first week. Suddenly, her face and her book were everywhere. However, the book wasn't written by Sugg alone. In fact, YA author, Siobhan Curham, helped. A Penguin spokeswoman revealed to the Telegraph, "to be factually accurate you would need to say Zoe Sugg did not write the book Girl Online on her own." Instantly, my Twitter timeline exploded with people saying they were "fuming" and that it was an "outrage." I've been a fan of Curham for a few years, and a fan of Sugg for a few months. Maybe I should have felt deceived. Maybe I should have been angry. Maybe I, like many other bloggers and authors I once respected, should have been tweeting sarcastic comments about Sugg and her "mermaid hair" along with her supposed inability to write. But I didn't. I didn't care at all. The only thing that bothered me was that a 24-year-old woman was being attacked by millions for doing what many other famous 'authors' have got away with. Authors I once liked and respected were picking on her looks. Her looks. Seriously? This isn't a school playground. People are disgusted that a book was ghostwritten. I'm disgusted that there are people out there who think it's okay to attack someone because of it, no matter who it is. I'd just like to clarify that it's absolutely fine to not like Sugg and/or her book. It's more than fine. What isn't fine is picking on her spelling, her grammar, her looks, and other things that are completely irrelevant yet have the power to make someone feel incredibly low about themselves. And why would you want to contribute to that? No, Sugg didn't write her book alone, but she had a lot of input. The story was hers. The characters were hers. Imagine you're offered a book deal from the biggest publishing house in the world. You have to have a ghostwriter because you're a high-profile person and it's a high-profile book. You still put a lot of effort in. You're proud, and grateful for the opportunity. Then you wake up one day to angry emails, tweets, comments and articles in some of the world's biggest newspapers tearing down your book and you as a person because you didn't say you had a ghostwriter. Aren't ghostwriters called ghostwriters for a reason? It wouldn't be nice, that's for sure. Books are ghostwritten all the time. There will be books you've read and enjoyed that were ghostwritten and you might not even know it. I respect that Girl Online being ghostwritten has disappointed people, but in the grand scheme of things, it's one book in a world of many - is it really that important? Some say it will give a harmful impression to her young fans who might suddenly think it's really easy to publish a book. I think anyone of any age who might have dreams of writing a book is smarter than that. Some say it will be harmful to the publishing industry. Admittedly I don't know as much as some about how the publishing world works, but surely the money from Girl Online's success will help to fund books by other authors? Another argument is that Sugg doesn't deserve the book deal when there are writers out there desperate to get their books published. Is that Sugg's fault? I don't think so. At the end of the day, books are ghostwritten all the time. Ghostwriting has been around for longer than Sugg has been on this earth and, out of the 78,000 people who bought Girl Online in its first week, I bet loads of them rediscovered their love of reading because of it. How can that be bad? I enjoyed the book, and I'm not the kind of person who buys something just because of the name on the front. If Girl Online had someone else's name on it, I still would have gone out of my way to read it. I'm sure that would be the same for many. It's an innocent book. Aren't there bigger things to worry about? 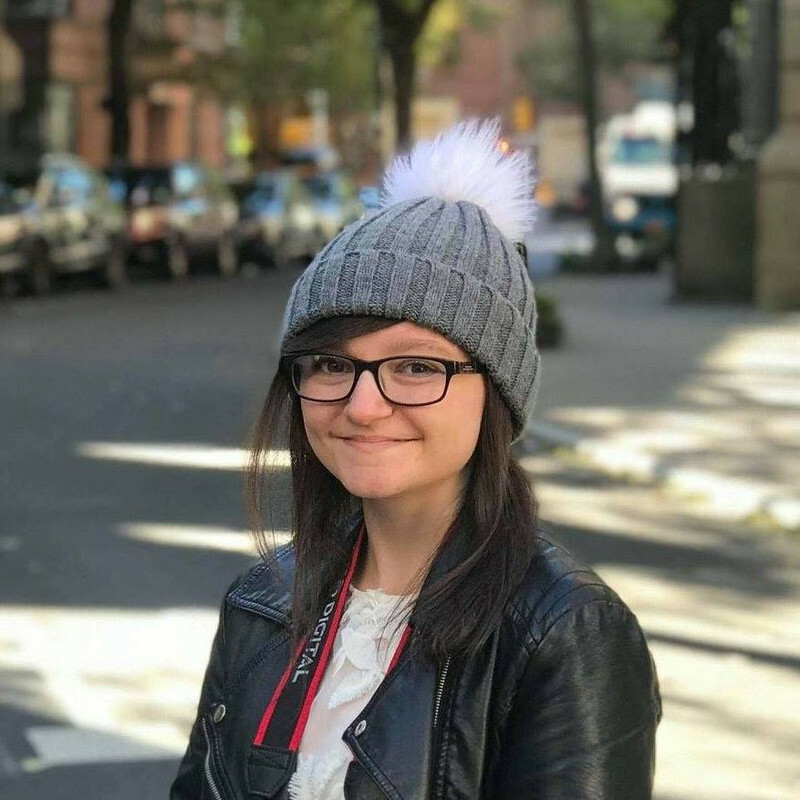 As Patrick Ness said, "Gosh, the outrage couldn't be because she's young, female, writes for teens, and got famous outside of traditional media, could it? Because, you know, the outrage about Wayne Rooney's memoirs was EXACTLY the same as Zoella's... oh, wait, no, it wasn't. Funny that." If you want to support Siobhan Curham, you can browse and buy her books here, and read about her involvement with the book here on her wonderful blog. To find out more about Zoe Sugg, you can check out her YouTube channel here. I was on the other side of your opinion until I seen you tweeting about it. I now agree that it does not matter if the book was ghost written. It is men't to be based around her life, and it basically still is just not written by her. Also on top of people re discovering their love of reading, people suffering from anxiety will be able to find comfort in the book. I know for a fact a lot of people suffering from anxiety think they are the only ones. When first heard this news I was like shocked but when thought about angry I changed my mind think Zoella's book will still be good, thanks from the help from Sioburn Curham zoella frist book will still be good. I hope you enjoy the book if you get around to reading it :) Thanks for commenting! I'm glad you posted this, Amber. I haven't been tweeting about it because I prefer not getting involved but I am tempted to write a post about it to share my thoughts on the topic. I agree with you that it's fine that the book was ghostwritten, but what I don't think is fine is that she didn't say that another author wrote it. If she had put "co-written with Siobhan Curham" there wouldn't be an uproar about it, the fact that it was "hidden" in a way, is what is upsetting people and I, in a sense, agree with them as I can imagine it would upset the author. However, if the author agreed to it then people must understand that it was the author's choice and they must respect that. I do, however, think that it's utterly disgusting that people are putting her down for her looks/grammar/spelling as that is very immature and childish and as you said, it will bring her self-esteem down and it's terrible that people would want to contribute to that. I'm glad you wrote this though, it's nice seeing some positive feedback circulating it. I will still be reading Girl Online because I have panic attacks and I am a blogger so I can relate to that, despite all the controversy the book is causing. "Co-written with Siobhan Curham" would have been fine, I think, and I doubt sales would have suffered because of it, but we have to remember it wasn't Zoe's choice what appeared on the cover and what didn't. It's also important to note that both Zoe and Siobhan will have been bound by a contract so I doubt either of them were able to give credit even if they wanted to. I definitely agree with what you said about Siobhan agreeing to it, though. I don't know if it's true in this case, but usually with ghostwriters they don't want the credit and don't even consider it their book. I haven't read this book yet and I am way above the target audience but as an anxiety sufferer I am interested in how realistically that is portrayed in the book so I will be picking it up at some point. I just really wish this had said Siobhan Curham and Zoe Sugg on the cover and then the whole scandal would have been avoided. But even if that had been the case people would have said that Zoe barely wrote a word of it so I can understand why they didn't go with that at the time. This does feel like the start of a Zoella backlash and from what I have seen of her she seems a sweet and at times slightly vulnerable girl so I hope things don't get too nasty. As a teacher who is constantly looking for ways to encourage reluctant readers to choose books that hey enjoy, I think that having Zoe's name attached to a book can only be a good thing. If it gets people reading, that's fantastic in my eyes. I do wish that it had been stated that the book was written with Siobhan Curham, not only to share credit but also as a tool to promote Curham's other books to people who may not have picked them up. I'm not in the target audience at all but I am currently reading the book because I wanted to see what all the fuss was about and I also wanted to see how the book dealt with anxiety and panic attacks. I suffer with GAD and (so far- I've not finished it yet) the book does include good advice for how to deal with the onset of a panic attack and is done so in a way that is accessible for teens. The story is light and fluffy which is fine for what it is. I spent my teen years reading Sweet Valley High and The Babysitter's Club (which were not only fluffy and light but also mostly ghostwritten too). Also, just wanted to add that the way that Zoe (and her fans) have been vilified in the press is wrong. The fact that a certain rent a gob often featured on This Morning (purposely not naming her- she's like Beetlejuice and turns up at the mention of her name!!) has waded in and started winding up Zoe's mostly young fan base is really wrong! She's about 3 times the age of most of them and should know better! Oh, I know who you mean! I saw the tweets this morning and was absolutely disgusted. Having a go at Zoe is one thing, but then sending nasty tweets to Zoe's fans, some of whom are as young as 10? Ugh. Great post Amber and I agree that the hateful remarks towards Zoella aren't fair (indeed they wouldn't be fair on anyone). I'm not against ghostwriting as a general rule - as you say it's been going on for years and means we get stories which might not otherwise come to light and it helps fund other books and get more people reading. But I do think more transparency is needed - even a credit on the inside title page would be enough for me! Because it does *feel* deceptive and a little bit sneaky even if it's not entirely intended. A bit like buying a tube of Colgate toothpaste and finding Wilkos own brand in the box (not a great comparison but this happened to me which is why I thought of it hehe). I bought a copy back last week and I will give it a try as I buy books that I think sound good rather than based on the author but to be honest I doubt I will review it. I understand where you sit with your argument, and I'm sure that if I'd known that it was written by Curham in the first place then there is a small chance I might have picked it up. Although I'm nit a fan My problem isn't with Zoella, it's the way she claimed that something that wasn't entirely heers, was completely. No matter who the person is, I just don't support ghostwriting. I just feel like it's an easy way out - you may have the plot and characters but the real skill is pulling it all together. By having a Ghostwriter, you're not doing that part yourself. I think I'll probably do a blog post on it next year. I'm with you all the way. The tendency to violently attack people isn't okay. I can understand disappointment in fans finding out she didn't write the book all on her own. But you're absolutely right, she did have the ideas etc. And regardless, it's no reason to attack. Mind you, I'm not trying to counterattack the attackers. I appreciate that your post doesn't either. It's gentle while being reproving. Thanks for being a rational voice, keep it up! I honestly don't like ghost writing. I don't really have anything against Zoe, but I don't like ghost writing PERIOD. I don't like it when others do it and I don't like that Zoe has done it. If I had a book ghost written for me, I'd just NEVER be able to call it "my book". I'd never be able to feel proud of it. I would feel like a complete fraud to have my name on the cover of that book if I didn't actually write it. As I saw someone else mention elsewhere, I feel like the whole process of ghost writing is consensual plagiarism. I have to admit, the 'green-eyed monster' did get to me at first (but only at first) because I couldn't help feel a little jealous that a 24-year old had such an amazing book deal and launch. I'm in Australia and I've never heard of Zoe Sugg. I'm one of these authors who writes the books first, then tries to build an audience for it. But that doesn't mean that's the *only* way of doing things. I think what's gotten a lot of people 'upset' is that instead of someone being a writer first, then approaching a publisher, then building an audience, the entire process has been turned on its head. Now, a publisher (and publishers are in this to make money, they're not charities) has approached someone who already has a huge following and given them a book deal. As you rightly pointed out, the publisher will make money from this and use the profits to take on new authors. Publishers need big hits to help pay for all the other misses along the way. That's the business. The thing is, just about every sports star or 'famous' person has a ghostwriter - but they're not writing fiction, they're writing memoirs. Perhaps the anger is made worse in this case because Girl Online is a novel (even though it's a topic very close to Zoe's life) instead of a memoir. In a nutshell, the internet is attacking a 24-year-old for saying yes to a new opportunity that landed in her lap. The anger should be directed at the publisher for not co-crediting Curham in the first place. The publishers had all the control, but Zoe's getting all the blame. I get that, I just don't get why that's upsetting people when celebrities with big ready-made audiences are approached all the time, as opposed to the traditional way you mentioned. What's the difference? Completely agree with publishers not being charities. People seem to feel uncomfortable when publishers try to make money, but they're businesses and they need to make a profit just like every other business out there. Agreed with you and thank you for saying it. I bought the book and will read it one day, I'm not disappointed at all. In fact I'm sure in one of her vlogs she even mentions that she had help. I'm now going to find Patrick Ness's tweet and retweet. I think you're right. I remember watching at least two of her daily vlogs where it showed her sitting down with her editor and writing. I really admire this. You are brave and entirely right to point out that whatever people's opinion on the particular book , or the use of ghostwriting, it is not right to subject Zoe and her young fans to abuse. It is bullying, and very unfair considering the ubiquity of ghostwriting and the lack of criticism of either the publishers who use it or other celebrities. I loved the quote from Patrick Ness. There are, as you say, 'bigger things to worry about', but I think you sticking your head up above the parapet to write that, shows great moral courage and is just brilliant. I honestly don't understand the big deal everyone is making it's not like she denied any help, in fact she always mentioned having help along the way. Like you said, so many books are ghostwritten! Everyone's just decided to attack her because her life is so exposed. So unfair. Loved the post! I agree with you 100%. Does it honestly matter that much if she had help writing her book? Not to me. She's still a story-teller, she's still poured her heart and soul into this work. And she had some help, people need help all the time. She's not an author first, she has a story to tell though. A good one. I think she's done an amazing job and really, it probably wasn't even up to her to have a ghostwriter. That was probably the publishers. Zoe is a talent; but every artist has to learn their trade from someone. It's not such a big deal. So much admiration for you for posting this! Very well written and argued piece Amber! Wow! Not being age-ist or insulting, but for your age (I'm late-forties and can't write like you) to articulate like this is very impressive. Well done Amber!! I completely expected the book to be ghostwritten, I don't get why this has come as such a surprise to everyone. Zoella popped up on my radar mostly when her Beauty products came out but I'd also watched some videos before. Her beauty products intrigued me based off the content of her videos. They're 'ghostwritten' for all intents and purposes too. They aren't what I buy because they're like Fearne Cottons cosmetic range and any other celebrity. They give a vague idea of the product quality they want, a company make the product, and the 'creator' pick colors and smells. The reason I'm not on board is because for both her beauty range and book, she's had minimal input, and they're popular because they have Zoella associated with them, not for the quality of the product. I have nothing against her, hats off to her for making so much money chilling in her bedroom frankly, but this is something for anyone, Zoella, celebrities, I don't care who, that I don't partake in :) I think I have more of an issue with the products, haha. As far as the book goes, I gave it a go, thought the anxiety wasn't represented well, and thought it was poorly written, so... Sorry Ms Ghostwriter? Haha. Great post! The twitter outrage is daft. I hope they listen to you. The ad hominem attacks on Zoe's looks are indeed uncalled for and disgusting however, most of the criticism I have seen about this is well constructed and in many cases, warranted. The issue is not that she had a ghostwriter; as many have pointed out, this is standard practice in the publishing world and for a first-time author, completely unsurprising to those of us who have even the slightest knowledge of how these things work. The issue is the lack of disclosure. You can't spend weeks penning blog posts and filming vlogs about how you are "writing" a book when the majority of the work was done by someone else who is given a cursory mention in the acknowledgments and nowhere else. Had Zoe and her publishers been forthcoming about the involvement of a ghostwriter, then all this criticism would not be happening. There is a vast difference between "getting help" and essentially providing character names and a plot outline for someone more talented to flesh out into something readable. That is where the issue lies and I think it is wrong for both Zoe and her publishers to have gone about things this way. It could all have been avoided. I read that post and think it raises some excellent points! Frankly, I think that Zoe's management and the publishers have something to answer for. They should have given her advice with regards to this kind of thing. I'm so SO happy you wrote this post! It didn't really bother me that the book was ghostwritten and I felt before it all came out that she probably hadn't written it all by herself anyway (I mean, she's an incredibly busy person with her YouTube career and blog etc). I understand that some people are dissapointed but I think that most of the people ranting on twitter etc (that I see) haven't even read the book which makes no sense to me because how can you be THAT angry about something that you don't even want to (essentially) be involved with? I, personally, haven't seen people attacking her looks but I have seen people being petty about her career etc and it is really dissapointing and it saddens me when I see people that I once looked up to, as a teenager myself, being so negative and unwilling to accept 'YouTube success' as a proper career. I think people need to look at the bigger picture and see that the money Penguin has made from Girl Online will bring about - hopefully - more funding for other books and it's either introduced or like you said reintroduced many young/teen girls to reading which will lead them to look into other books like Zoe's and then they will continue to read and love to read which can never be a bad thing. I totally agree with you. It's okay to not be a fan of Zoella, but to pick on her just so you can bring her down? Seriously!? What is this, first grade? There's a difference between being upset and picking on her just because she did something you didn't like. I bet that half of the haters picking on Zoella hadn't even read Girl Online. Some people just love an excuse to insult people and make them feel awful. How was is fine for Wayne Rooney, Cheryl Cole and other celebrities to use a ghostwriter for their autobiographies, and yet the moment when the public finds out that a 24 Year Old blogger and vlogger has used one, they take to social media and tear her apart? I read girl online, and to be honest I didn't enjoy it. I'm not one of her fans either, but I have to defend her on this: it probably wasn't her decision to not have Siobhan Curham's name on the cover. Authors don't get to decide what's on the cover. Newspapers and websites are tearing her apart, when so many celebrities have gotten away with it. There was even a blog I saw on tumblr called 'slugella' which was literally just a blog someone created to put down Zoella and pick on her! Really? I'm honestly disgusted that people think it's okay to behave like this on the Internet.